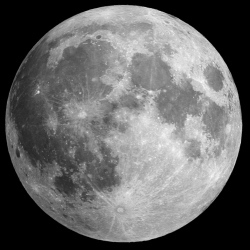 NASA has announced the selection of three US companies to develop a lunar lander to deliver payloads to the Moon’s surface. The three companies, Astrobotic Technology, Masten Space Systems, and Moon Express, won’t be receiving any funds, but will negotiate with the space agency for a partnership to exchange technical expertise and help promote the private space sector. The partnerships are part of NASA’s Lunar Cargo Transportation and Landing by Soft Touchdown (Lunar CATALYST) initiative. Like the Commercial Crew Program (CCP), where NASA called on private industry to come up with a replacement for the Space Shuttle to carry crews and cargo to the International Space Station, the CATALYST initiative is a way for the agency to get around shrinking budgets or lack of government interest by teaming with private partners. Operated under the Advanced Exploration Systems Division of NASA’s Human Exploration and Operations Mission Directorate, Lunar CATALYST’s goal is to develop a reliable and cost-effective commercial robotic lunar lander for carrying cargo to the lunar surface. The idea is that these landers would be used for commercial purposes, such as mining helium-3, cryogenic manufacturing, solar power generation or spacecraft refueling, while helping out NASA and other researchers on scientific missions, such as sample returns, prospecting, and technology demonstrations.